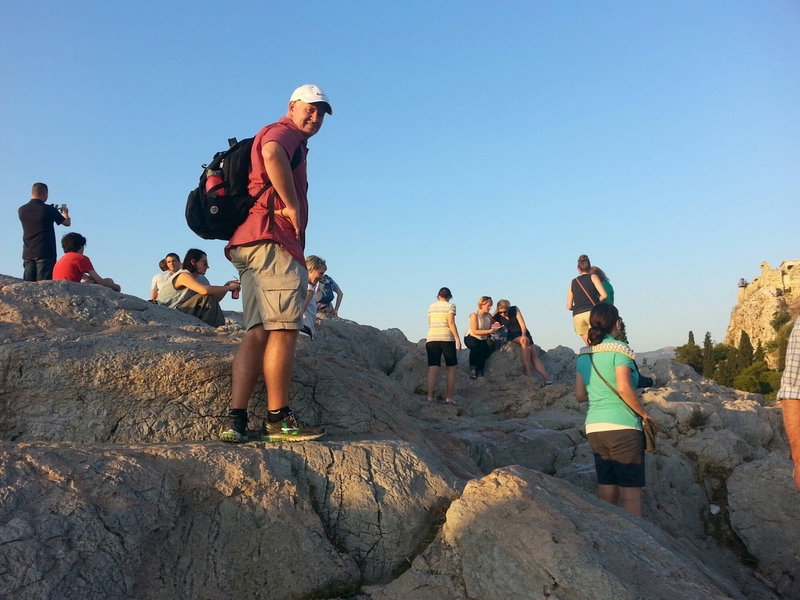 In the first century AD, the apostle Paul stood in Athens on a rock formation known as Mars Hill (aka, the Areopagus). Just a few days ago, I stood in that very spot. It was a deeply moving experience. My wife and I, along with our friends Kip & Amanda, were on vacation in Greece. 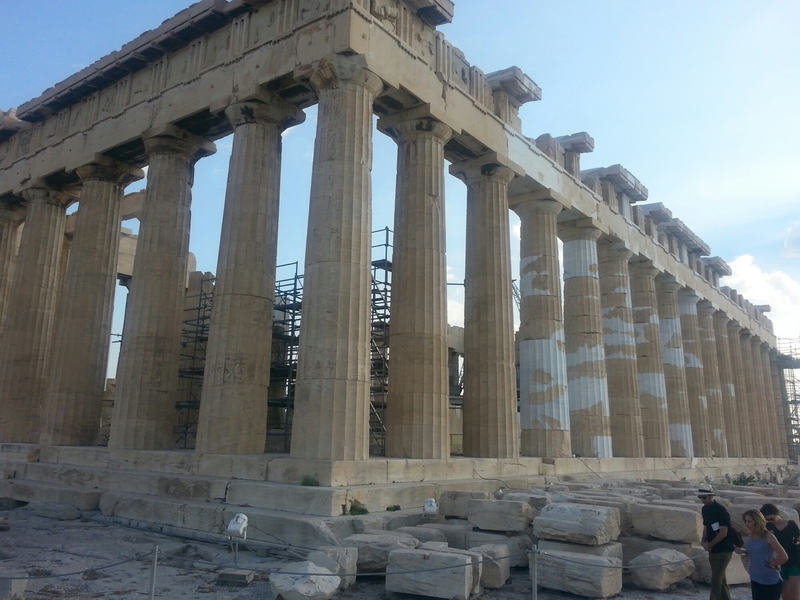 In Athens, we toured the Acropolis, a plateau that contains the archaeological remains of the Parthenon and other temples to Greek gods and goddesses. At the Acropolis, people worshiped Athena, Nike and other false gods at the Greek temples. When Paul arrived in Athens in the first century these false gods had been worshiped there for more than four hundred years. 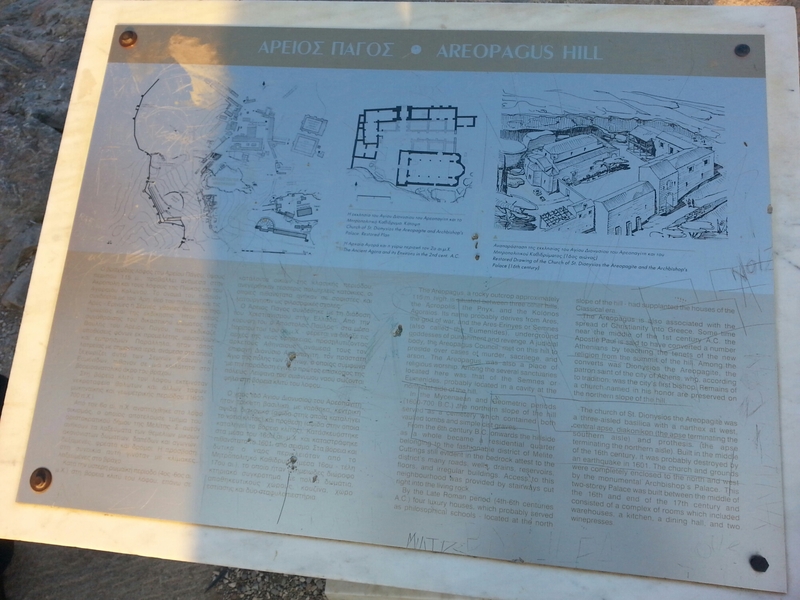 A few hundred yards away from the Acropolis is Mars Hill. We went there too, just as Paul had done two thousand years ago. In Acts 17:16-34 (see below) you can read the story of Paul sharing a powerful message with the Athenians at Mars Hill, a message about their altar set up to an unknown God. You see, Paul knew God. Personally. He knew the Sovereign, Eternal, Creator. This God who was unknown to the Athenians was the God who had changed Paul’s life. Paul knew the One who sent His Son to provide the way to eternal life. Paul knew Jesus, who was God-in-the-flesh, the One who died and rose again. Paul’s message convicted the hearts of some people and they put their trust in Jesus Christ as Lord and Savior. Others rejected Paul’s message. When Kim, Amanda, Kip and I stood on Mars Hill, we read Acts 17:16-34 out loud. We discussed the fact that we were standing in the very spot where Paul preached. We thanked God for Paul, and asked the Lord to use us to point people to Christ just like Paul did, because we live in a day when people worship many gods but they don’t even know the One True God — Jesus. Others replied, “He seems to be a preacher of foreign deities” — because he was telling the good news about Jesus and the Resurrection. Therefore, what you worship in ignorance, this I proclaim to you. The God who made the world and everything in it — He is Lord of heaven and earth and does not live in shrines made by hands. Neither is He served by human hands, as though He needed anything, since He Himself gives everyone life and breath and all things. From one man He has made every nationality to live over the whole earth and has determined their appointed times and the boundaries of where they live. He did this so they might seek God, and perhaps they might reach out and find Him, though He is not far from each one of us. For in Him we live and move and exist, as even some of your own poets have said, ‘For we are also His offspring.’ Being God’s offspring then, we shouldn’t think that the divine nature is like gold or silver or stone, an image fashioned by human art and imagination.